Between the charming British accents and the spectacular architecture, London has hundreds of fascinating elements to fascinate any tourist. But visitors would be remiss in ignoring the Thames. Although it winds its sinuous, torturous route right through the center of the city, the majestic river now appears to be little more than a charming backdrop for selfies taken on bridges, boats bobbing gently in the background. But the truth is that the Thames has irrevocably shaped London. 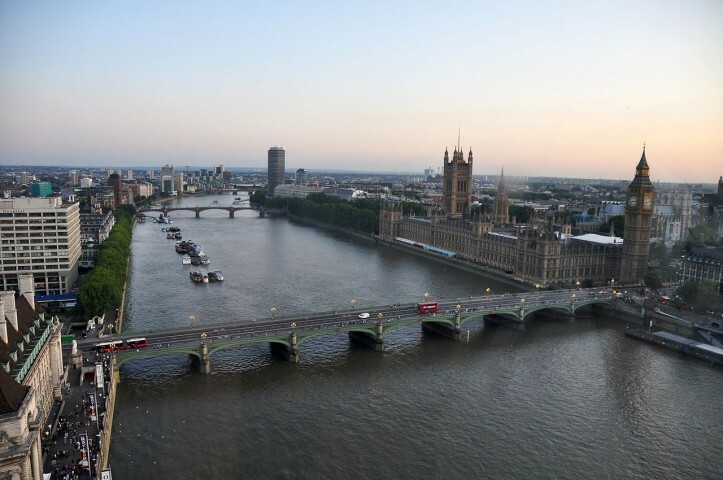 Like many other cities before and since, London grew around the Thames as a means for travel and trade, connecting it to the resources of the European (and, eventually, almost every other) continent. But one of the Thames’ biggest legacies is more sinister: one of disastrous flooding. In 1953, for example, a massive flood killed over 300 people along England’s coast and forced the evacuation of another 32,000. The Thames and its tributaries are “particularly vulnerable to flooding,” according to reports from the United Kingdom’s Environment Agency. The region’s rainy weather can cause rapid changes in river levels, corroborated by the fact that much of Southeast England is actually sinking due to geological factors,. London’s long history of flooding has been the cause for some of the most advanced prevention strategies over the past centuries, but rising river levels due to global warming will put these innovations to the test. 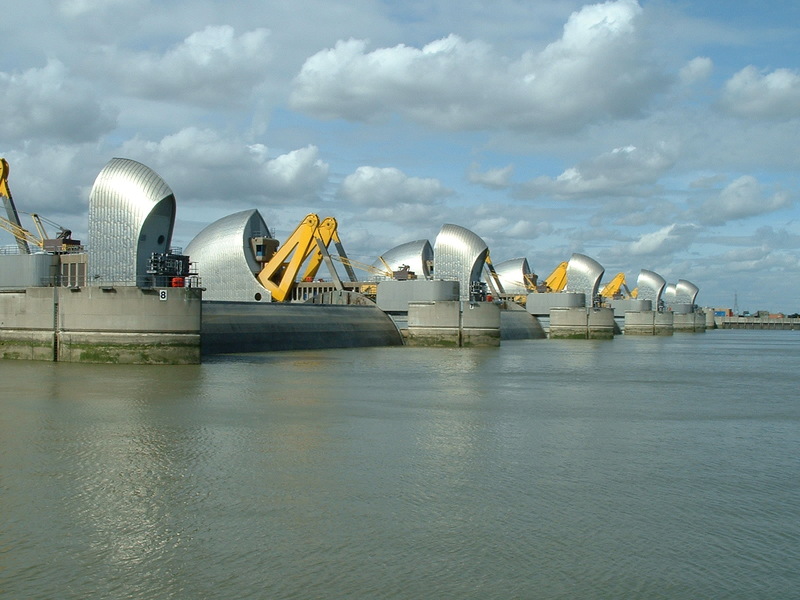 The most immediate risk is for the Thames Barrier, which became operational in 1982. One of the largest river barriers in the world, it is located about 10 miles upstream from the center of London and cost over 500 million pounds (about $830 million) to build. It is designed to counter surges in river levels, protecting the city’s population of over 8 million, while still allowing high and low tides to pass through under normal conditions. But the barrier was designed to only be functional until 2070, after which, “the standard of protection will slowly decrease over time due to rising sea levels and a greater magnitude and frequency of surge conditions,” according to the UK’s Environment Agency. According to a 2007 report from the Intergovernmental Panel on Climate Change (IPCC), sea levels are rising at an average rate of 3 millimeters (or approximately a tenth of an inch) per year, a much higher rate than was estimated in the 1980s when the barrier was built. This could affect London more drastically than other places. The Environment Agency estimates a possible rise of 75 centimeters to the Thames in central London in the next century. What’s more, a study conducted last year by the non-government organization Ice2sea, concluded that storm surges will be even more powerful than anticipated, and, without a substantial upgrade before 2100, the Barrier has a 5 percent chance of being overwhelmed by water and failing. As the Thames swells to new heights and laps against the doors of London residents, climate change will challenge the durability of the Thames Barrier and the preparedness of London’s residents. Faced with a risk that they thought was averted decades ago, Londoners must start thinking again about how to protect their city from the river that shaped it. Editor’s note: This post is part of a mini-series in which Scienceline reporters write on location from around the globe during winter break. See related posts for a story on museums in D.C. and check back this week for a report on climate change preparations in the national parks of Alaska.